We all know how popular plaid is in the Fall and winter months. I was so happy when I found this short sleeve plaid top. They aren't easy to come by and it is a great way for me to transition into fall living in Florida. I have no desire to wear summer clothes and it is still really hot here. 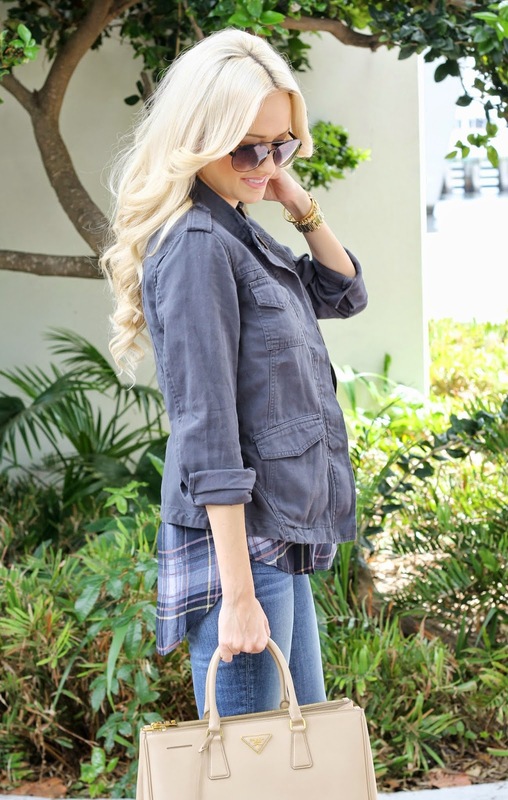 I also am obsessed with this utility jacket. I love the color and the fit. I love that it is a more slim cut jacket then some of the utility jackets I have tried on in the past. Love this whole look, especially the zipper detail on the jeans! very simple and stylish look! you look so cute Jade! 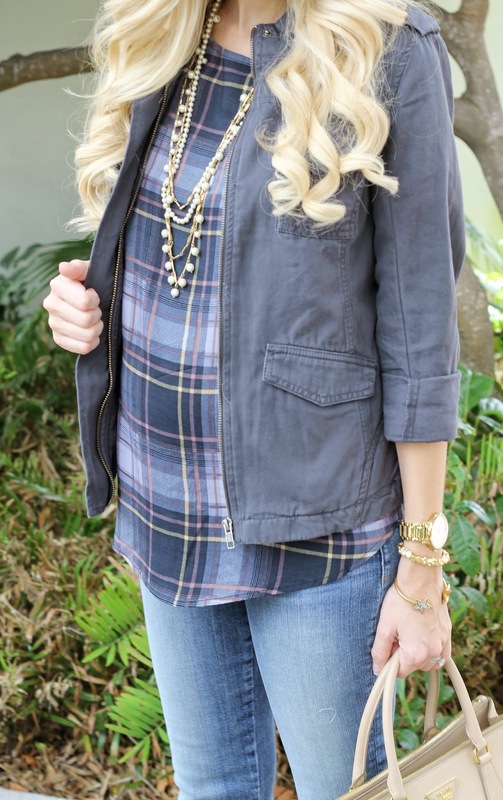 I am loving that jacket...such a great layering piece! Love, love, love! I love the color hues and oh my what's better than a plaid shirt? A short sleeved plaid shirt of course. Such a great find. You have THE best hair ever! I'm not usually a fan of so many blue hues in one look, but you pulled it off so, so well! Such a great print for Fall! Love this outfit!!!!!!!!! And your maternity style is seriously amazing, probably the best maternity style I've ever seen!!!!!!! P.S. I hope that didn't offend you! It was totally a compliment!